“I was invited to volunteer on a collaborative project between Nottingham Castle & Art Gallery and the National Portrait Gallery, working with a group of marginalised women, who were all non-English speakers. We looked at identity in portraiture, which was incredibly moving, given their interpretations which they shared. It was during these activities that I accidentally found that museum education was where I wanted to work”. Don’t worry if you’re not currently working in museum education. Jon started off in PR but was able to transfer his excellent communication and interpersonal skills to the sector. Within the creative industries, you can move between posts so start to hone the skills needed for museum education wherever you are now. Top skills required include: communication and interpersonal skills, empathy, creativity, confidence and an enthusiasm for art. A job description will list criteria the organisation is looking for from you – and may depend on the types of groups you will work with – ensure you demonstrate these in your CV and covering letter. “Museum education is a person-centred career; you invest so much of yourself in creating sessions and it is very rewarding when these come together. What is a day in your working week can be a lasting memory for this group – you can make a real difference. What I am doing is encouraging access to the arts, enhancing creativity and raising self-esteem in the people I work with”. To be a museum educator, you will need to be extremely creative, planning engaging sessions that bring works of art and objects to life. Embrace who you are as a practitioner and don’ be afraid to show your own character to the groups you work with. As Jon points out: “One day you will be cutting up paper for toddlers, the next you will be making robot masks with a community group or leading an assembly for 700 children – it is an incredibly varied workload”. Make sure you keep up-to-date with developments in the sector, such as new national curricula for schools. Jon explained that the profession has changed so much over the last 15 years and one of the main changes is increased digital engagement. Recently, he has been delivering talks through live-streaming channels, enabling him to communicate with people who are unable to be physically present in the museum. Introduce yourself to professionals in the museum and learning sector – it is a surprisingly small world. If you can show your passion to people, they will soon be able to see that you really do care about museum education. It is also worth going to art launches and artists’ studios, as many artists deliver creative workshops in museums. Finally, you will make mistakes along the way but you will learn from these, so be kind to yourself. After graduating with a degree in Medieval History, Art and Theology, Jon worked in PR for 5 years, followed by a role in which he sold art commercially. During this time he began to volunteer for art museums, working on learning projects, as he knew this was where he wanted to be long-term. His first museum education post was as a Learning Assistant at art gallery The Public in West Bromwich. From here, Jon then joined Wolverhampton Art Gallery as a Learning Facilitator but was made redundant due to budget cuts. Undeterred, he set himself up as a freelance Learning Officer, and managed to get work at many of Birmingham’s best art organisations including: Ikon Gallery, Birmingham Museums and the Barber Institute of Fine Art. 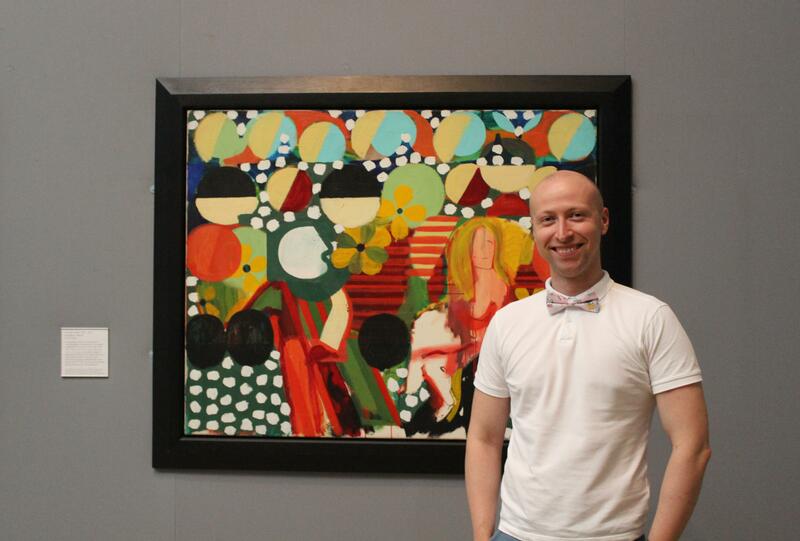 A year ago, he accepted his current full-time post as a Learning Officer at Birmingham Museum and Art Gallery. “As a museum educator you learn so much about yourself, as well as the others around you. I’d class it as a caring profession, and my motivation is demonstrative change in the people I work with. An intrinsic quality of museum education is a care for people and art”. Does museum education sound like it is the right sector for you? Birmingham Museums have lots of volunteering opportunities, which you find out more about here. You can follow Ruth on twitter @ruth_millington to hear all the latest Birmingham art news and find out when new blog posts are live.